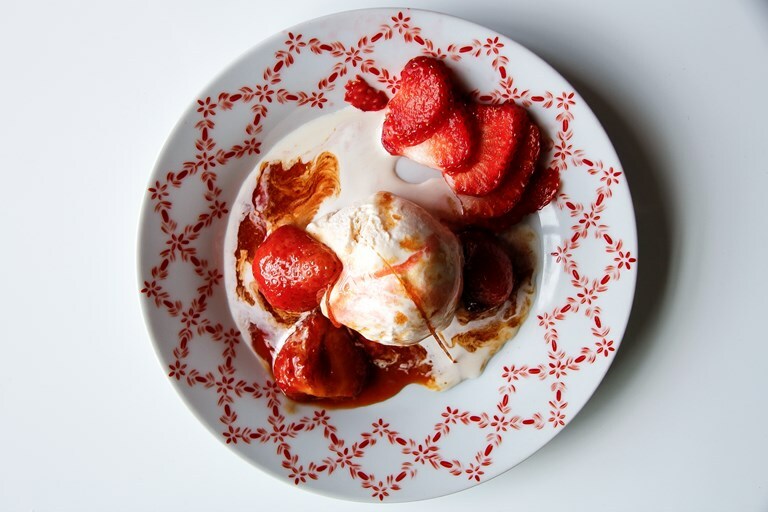 Rosana takes strawberries and cream to the next level in this flambéed strawberry recipe. Infused with Pimm’s and served with a strawberry and vanilla ripple ice cream, this is a perfect dessert for the British summer. Strawberries and cream - delightfully quick to make and fast eating, the success of this uncomplicated dish is all in the combination of fresh ingredients and a mixture of classic flavours. Summer in Britain is not the same without strawberries and cream; a tradition attributed to Cardinal Wolsey back in 1500's. It was at Hampton Court Palace, the residence of Cardinal Wolsey, where the combination is said to have been invented. I very much doubt it was the cardinal's idea (perhaps one of his kitchen staff), but in any case, this wonderful combination has become a symbol of British summer and Wimbledon. We can't get enough of the stuff! Here is a pretty cool way to serve strawberries and cream in style. I used Pimm’s in this recipe as it just seem so fitting! 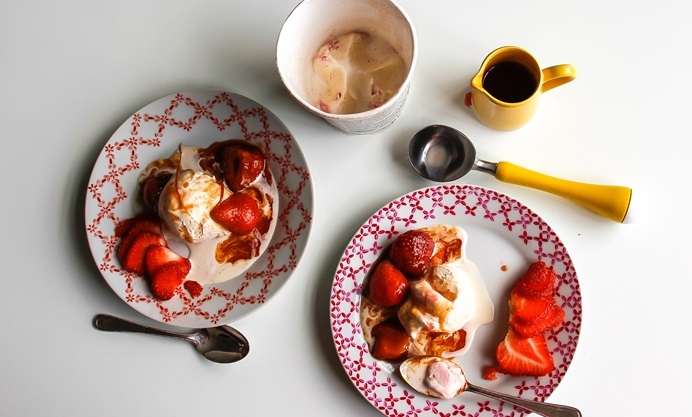 The hot, boozy, caramelised strawberries contrast with the cold strawberry rippled ice cream and the fresh strawberries give another texture to this delightful treat. How do you eat your strawberries and cream? If preferred, you can make your own ice cream and stir in the coulis as the final sections of churning.